As I visit with people throughout West Michigan, I hear repeatedly and know firsthand about the need to lower auto insurance rates. I’m very glad to share with you that our top priority, Senate Bill 1, is to reduce auto insurance rates. I look forward to working on your behalf to strengthen our economy, lower auto insurance rates, fix our roads and defend our West Michigan values. 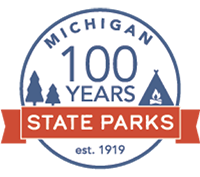 Please do not hesitate to reach out with any ideas or if I can be helpful with state government issues. 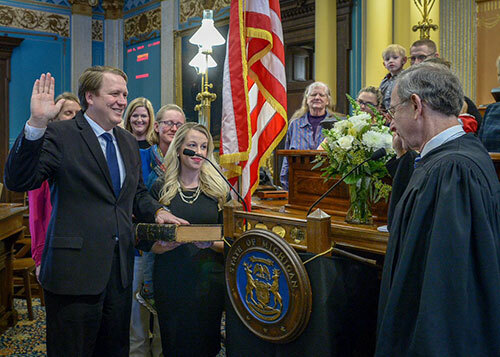 Sen. Aric Nesbitt, R-Lawton, was recently sworn in to his first term as a Michigan state senator. With his wife and family members by his side, he was sworn in using his great-great-great-grandfather Thomas Nesbitt’s Bible, printed in 1834. Nesbitt was sworn in by Michigan Supreme Court Justice Stephen J. Markman, who was his constitutional law professor at Hillsdale College. Committee hearings are one of the most important things legislators do in Lansing. 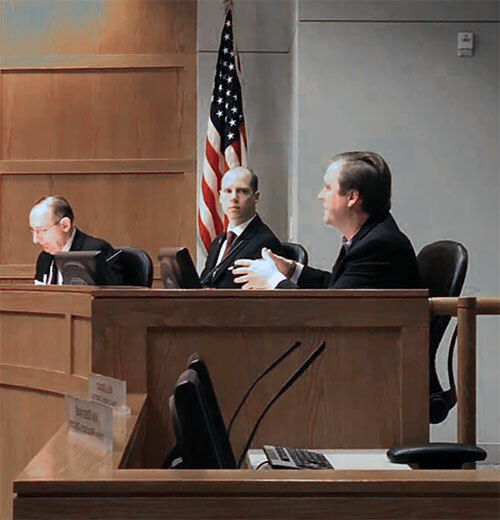 The committee process is where the people who are affected by changes in the law have a chance to come voice their support or opposition or simply share their thoughts on an issue affecting the state. • Committee on Government Operations. 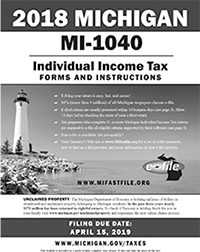 Nesbitt recently introduced Senate Bill 1 to reduce Michigan’s highest-in-the-nation auto insurance rates. SB 1 would provide relief for consumers by addressing the root causes of Michigan’s excessive car insurance rates. The bill would allow drivers over the age of 62 the option of allowing Medicare or their other lifetime health care benefits to cover medical costs. It would also give younger drivers the ability to choose an amount of coverage that suits their needs and budget. Savings would correspond to the chosen benefit level. The bill also aims for greater transparency and equity in health provider billing practices. Auto insurers pay significantly more to hospitals and other health care providers than do other insurers for the same treatments and services, resulting in costs that are ultimately passed on to Michigan drivers. The legislation has been referred to the Senate Committee on Insurance and Banking for further consideration. 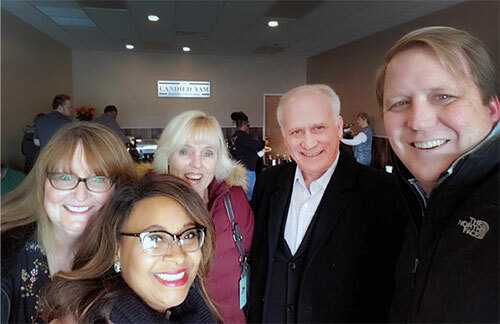 Nesbitt recently stopped in to Kentwood Candied Yam to congratulate Jessica Ann and the Candied Yam crew on their grand reopening after expanding their operations. 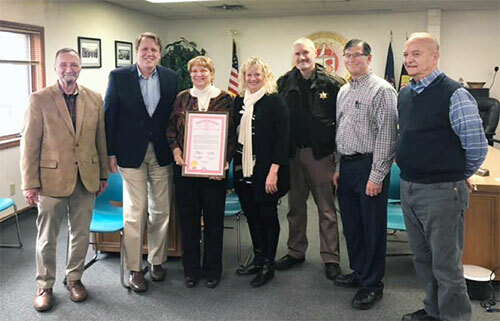 Nesbitt joined local officials from Van Buren County in awarding Karen Makay with a special tribute commemorating her 22 years of service as Van Buren County’s treasurer. Nesbitt recently visited the Wyoming-Kentwood Chamber of Commerce to discuss local and state issues with fellow area legislators. Legislators updated local leaders on current issues in Lansing. 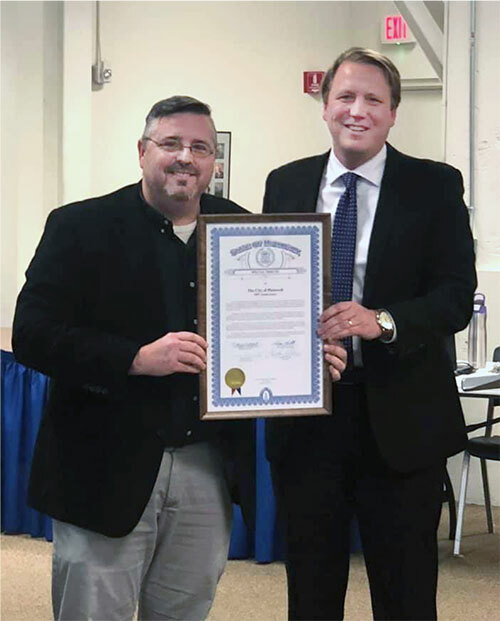 The city of Plainwell recently celebrated their 150th anniversary. Nesbitt joined the celebration and presented local leaders with a legislative tribute on behalf of himself and state Rep. Mary Whiteford. 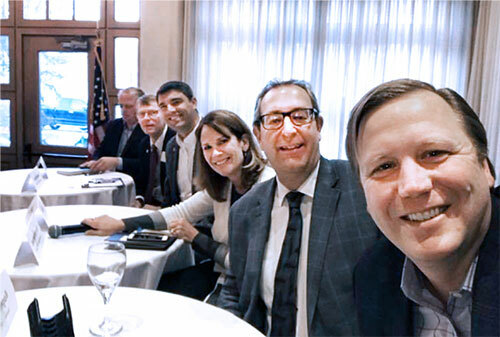 Earlier this month, Nesbitt sat on a legislative panel at the Michigan West Coast Chamber of Commerce and then provided a legislative update to listeners on WHTC radio. He discussed lowering the cost of auto insurance and passing a balanced state budget, on time, while prioritizing paying down debt and investing in roads. 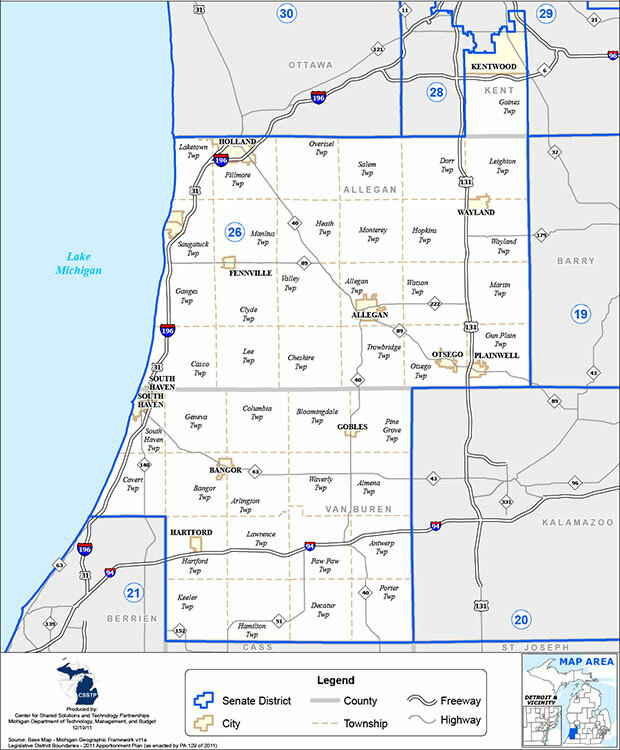 The 26th State Senate District includes all of Allegan and Van Buren counties, as well as the city of Kentwood and Gaines Township in Kent County.